Two turkeys will be pardoned by President Donald Trump on Nov. 21, just ahead of Thanksgiving. 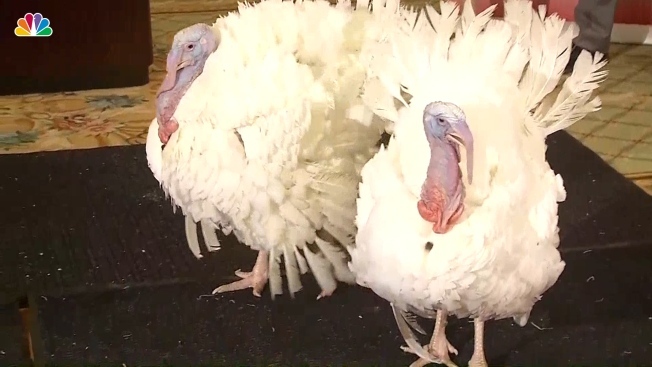 After their presidential pardon spares them, Drumstick and Wishbone will spend the rest of their lives living at Virginia Tech in Blacksburg, Virginia. President Donald Trump will pardon the national Thanksgiving turkey Tuesday, but before he does, the birds of honor will live it up at a high-end hotel in Washington, D.C. The Willard Intercontinental introduced "Drumstick" and "Wishbone" Monday. 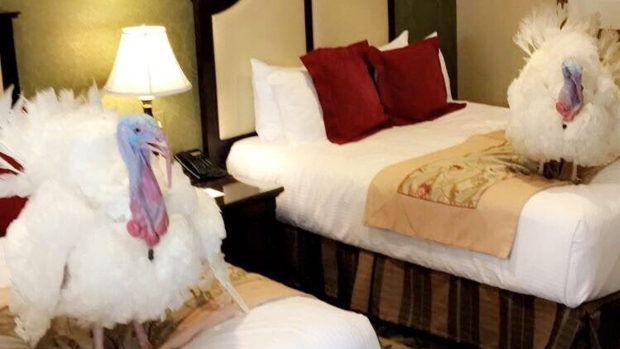 The turkeys have been prepping for their big day with a two-night stay in one of the hotel's luxury suites. The public will decide which bird will win the title of America's National Thanksgiving Turkey. But don't worry! Both birds will get to will live out their lives at Virginia Tech University after the ceremony Tuesday. This year marks the 70th anniversary of the lighthearted event. The White House says the first family will donate two packaged turkeys to the D.C. charity Martha's Table. Trump is set to spend the Thanksgiving holiday at his Mar-a-Lago club in Palm Beach, Florida.